Now check your email to confirm your subscription. Your information is safe with us. Fill out this quick form to get the link to the VBAC Tool Kit. 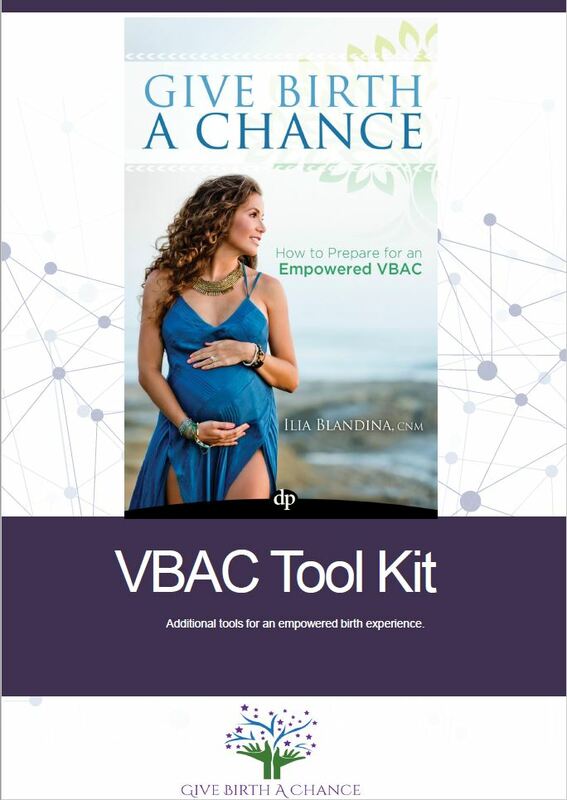 This is additional information not included in the original book Give Birth A Chance: How to Prepare for an Empowered VBAC. They are meant to be used together, so if you haven't gotten a chance to read the book, go to Amazon and get it right away! 1. Birth Affirmation Self-Assessment Tool. 2. EFT Tapping Chart for pregnancy & birth. 3. Instructions on how to start Tapping right away to help you banish fear from your birth plans. 4. Birth Affirmation Self-Assessment Worksheet. 5. How to get help right away! Do you want to experience birth in an atmosphere of peace and calm? Join us for a one-day workshop where you will learn how to be free of the fear that prevents the muscles of your body from functioning as nature designed. When you are in a peaceful and calm state, your body's natural hormones of relaxin, endorphins and oxytocin replace the stress hormones of cortisol and adrenaline that constrict, cause pain and stops natural labor!! 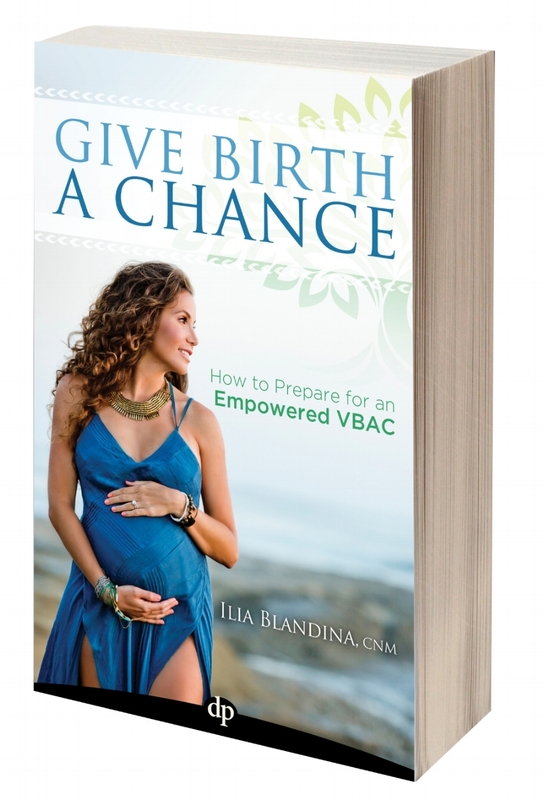 Do you feel like you're missing out on a powerful and effective way of raising your confidence of giving birth, healing past birth trauma and personal awakening to a Childbirth With Grace®? You have found transformative techniques that will open your consciousness, harmonize your environment and shift your emotions without struggling during your pregnancy and birth. The method teaches you that, in the absence of fear and tension, or special medical circumstances, severe pain does not have to be an accompaniment of labor. In fact, this method uses the well-researched Emotional Freedom Techniques (EFT), Matrix Reimprinting and self-hypnosis to impact your ability to function at your full potential and accelerate Healthy Living and Self-Transformation in preparation for your birth or to heal a previously traumatic birth experience!! After learning and practicing this unique method of childbirth preparation, you will experience birth in an atmosphere of calm relaxation, free of the fear that prevents the muscles of your body from functioning as nature intended them to. In this calm state, your body’s natural relaxant, endorphins, replaces the stress hormones that constrict and cause pain. Space is limited! Please register ASAP. Are the answers to any of these questions is YES? Do you feel your previous birth experience could have gone differently? Was a C-section forced upon you and you don’t want that to happen again? Or you weren’t given enough time to give natural birth a try? Or that you weren’t listen to? What if this is your first pregnancy and you are feeling anxious about giving birth because your friends and family have told you so many horror stories. I’ve figured out a proven process you can learn to take control over your birth plan and kick out the fear of having your baby---and give you a voice that you never knew you had. I’ve created a proven process that will take you on a journey of self-discovery and healing. And the first step is to see where you are currently and find out how we can work together towards the birth plan of your heart’s desire. and we will put a personalized birth plan into place.